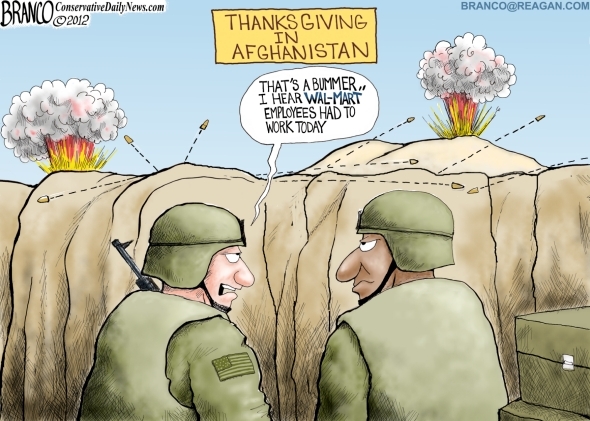 AF "Tony" Branco: Military life in the trenches of Afghanistan. Wal-Mart shoppers thank the troops for being able to shop the three special Wal-Mart events on Thanksgiving. . Hang in their Wal-Mart employees! Tags: AF Branco, military, troops, Afghanistan, Wal-Mart, shopping, Thanksgiving Day To share or post to your site, click on "Post Link". Please mention / link to the ARRA News Service. Thanks!